A large and beautifully detailed copper engraved series of eleven Scottish views of selected towns, cities and castles. 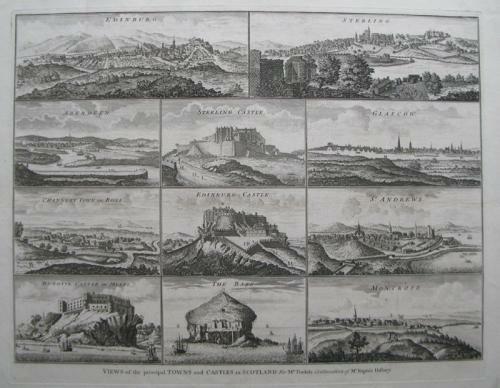 Fine original antique folio engraved series of city views in Scotland, made approximately 280 years ago. Printed in the early 18th century, on quality hand-made paper which retains its inherent structural flexibility and soundness.